Functional | Holistic | Wellbeing At Productive Health our aim is to optimise your physical, emotional and spiritual health and wellbeing! 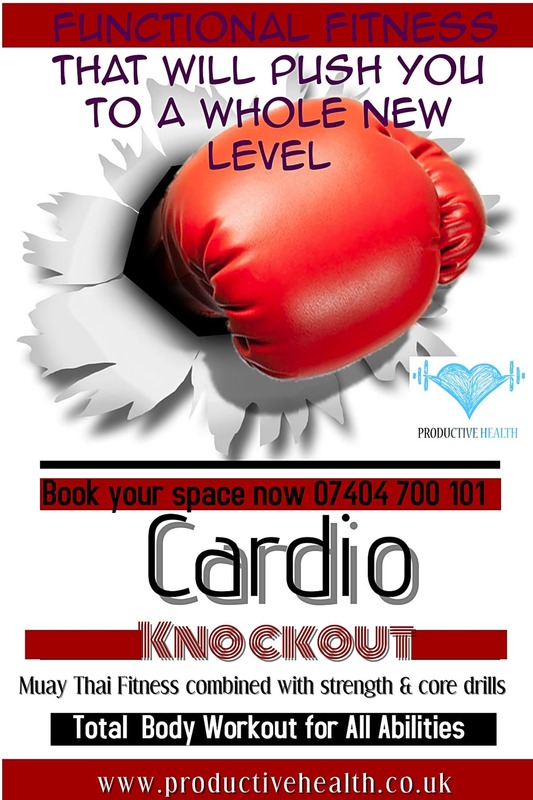 Cardio Knockout is 50 minute whole body cardiovascular workout with boxing drills, strength training and core stability exercises. No experience required, suitable for all ages and abilities. A women only, fun and relaxed environment.